There are three things in life that are certain - death, taxes and increasing bank fees. Two of the bank fees that inspire the most hatred from people - ATM and overdraft fees. If it seems like these fees are always increasing - it's because they are. 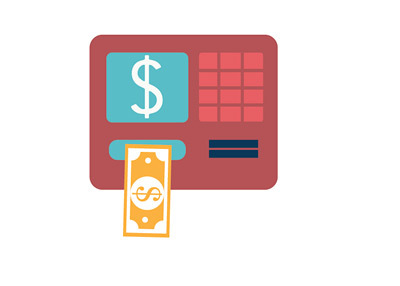 According to Bankrate.com (via CNN Money), over the past 12 months customers were charged an average of $4.35 per transaction when they used an ATM that was not owned by their bank. That represented an increase of 5% over the past year. People know that they shouldn't use an ATM that is not owned by their bank but they continue to do it anyways. Overdraft fees continued to trend higher as well, as bank customers were charged an average of $32.74 per overdraft over the past 12 months. Warren Buffett of Berkshire Hathaway has long been a proponent of owning bank stocks and it's easy to see why - they are money machines. There was a movement a few years ago to move accounts away from big banks over to credit unions but banks have weathered that storm just fine.